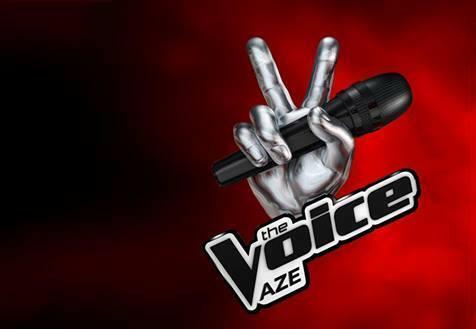 The Voice project returns to Azerbaijan. The Voice is an international reality television singing competition franchise. It is based on the reality singing competition The Voice of Holland, which was originally created by Dutch television producer John de Mol. Many other countries have adapted the format and begun airing their own versions since 2010. It has become a rival to the Idols franchise, Rising Star and The X Factor. So the Public Television and Radio Company (ITV) of Azerbaijan received a license from the well-known vocal television project The Voice, ITV’s PR department told Trend Life. The company "Talpa Global B.V" is the author of such a famous project as The Voice. A cooperation agreement was signed between İTV and Talpa Global B.V, according to which the company's main project from the new season will be broadcasted on Public Television. At first, the project "Səs" - the Azerbaijani version of vocal contest The Voice, will be held among children, and then among adult performers. In the near future, the public will be provided with detailed information about casting and other information. This contest is very popular among Azerbaijani spectators. There are several singers as Elnur Huseynov, Chingiz Mustafayev, Vagif Nagiyev and Araz Humbatli who performed at the The Voice television projects of different countries, such as Turkey, Ukraine and France. Moreover, Elnur Huseynov won The Voice Turkey, so the singer was also a guest of several popular television projects, and his performance was viewed more than 1,200,000 times over 6 days. In social networks, the number of views exceeded 4 million. In addition, it’s noteworthy that Azerbaijan is pretty experienced in holding major singing competitions. An example is The Eurovision Song Contest 2012 which was the 57th edition of the annual Eurovision Song Contest. It took place in Baku, Azerbaijan, following Ell & Nikki's victory at the 2011 contest in Düsseldorf, Germany with the song "Running Scared" — marking the first time that the country had won the contest. The contest was held at the newly constructed Baku Crystal Hall, with semi-finals held on 22 and 24 May 2012, followed by the final held on 26 May 2012. Forty-two countries competed in the contest — one less than the record number of 43 set at the previous contest, with Montenegro returning for the first time since 2009.